You are here: Home / Articles / Is 0.5% ABV alcohol-free? Browse the alcohol-free section of your local supermarket or favourite online retailer and you’ll notice that many non-alcoholic beers, wines, spirits and ciders on the real and virtual shelves do contain a little alcohol – up to 0.5% ABV (alcohol by volume) in many cases. This can be concerning if you don’t want to drink any alcohol. If you’re avoiding alcohol for health reasons, you might wonder if there’s any point in consuming these drinks you’re still drinking some alcohol. If you’re taking a break from alcohol or giving it up completely, you might convince yourself that drinking 0.5% ABV is somehow “cheating”. The big question is then, is 0.5% ABV actually alcohol-free? Obviously, in a literal sense, a beer that contains 0.5% alcohol is not technically free from alcohol. But this doesn’t mean you should be quick to avoid 0.5% drinks if you’re avoiding alcohol. Not only will you miss out on the many great low-alcohol beers that come in at 0.5% or less but there may be no logical reason behind your decision – depending on your circumstances. Let’s look at the arguments for and against considering 0.5% ABV drinks “alcohol-free” or “non-alcoholic”. If your aim is to avoid alcohol, wouldn’t it be odd to deny yourself a 0.5% ABV drink but continue to eat foods that contain this amount of alcohol? Another argument for considering 0.5% ABV drinks alcohol-free is the amount of alcohol in a pint of 0.5% ABV beer is tiny – just 2.2g (about 2.75ml or half a teaspoon). Compare that to the 22.7g (about 28.4ml or 5 teaspoons) of alcohol you get in a pint of 5% ABV beer and you can see how insignificant it is. However, this doesn’t mean that 0.5% drinks are always suitable if you’re a recovering alcoholic. This is because alcohol-free drinks can provide sensory cues that make you think you’re drunk when physically you’re not. There’s a risk this could lead you back to full-strength drinks. It also doesn’t mean that 0.5% drinks are suitable if you’re avoiding alcohol for religious reasons as there are many interpretations of what is and isn’t acceptable. Many of the people who make the laws about what is and isn’t alcohol-free understand that 0.5% is an insignificant amount of alcohol meaning 0.5% is considered alcohol-free or non-alcoholic in many countries. UK licensing law doesn’t place restrictions on drinks under 0.5% ABV. Yet UK food labelling regulations – which date from 1996 – say that only drinks under 0.05% ABV can be described as “alcohol-free” while the term “non-alcoholic” can’t be used with drinks commonly associated with alcohol such as beer and wine (unless it’s unfermented grape juice labelled as “non-alcoholic wine”). 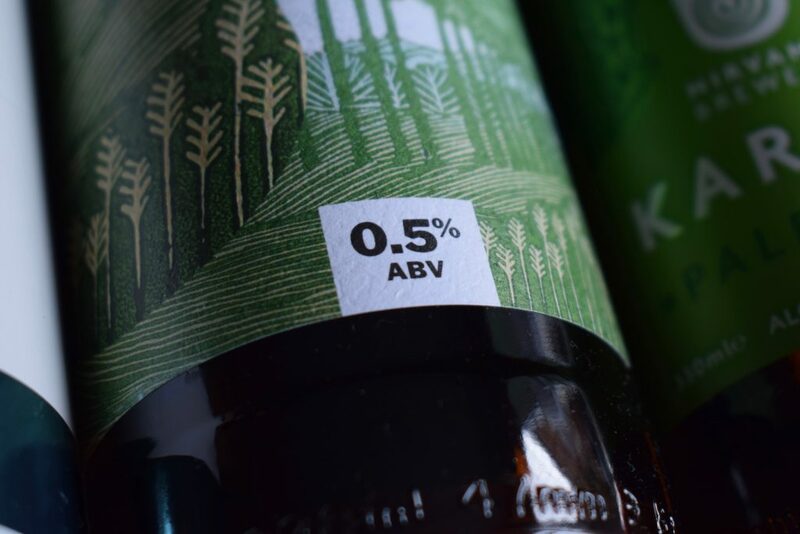 Drinks up to 0.5% can be labelled as “dealcoholised” if they’ve had the alcohol removed after fermentation. Otherwise, producers of drinks between 0.05% and 0.5% ABV can only use the term “low alcohol” despite the fact that this also applies to drinks up to 1.2% ABV. In practice, this puts UK producers at a disadvantage to overseas producers who label 0.5% ABV drinks as “alcohol free” and then export them to the UK. And it confuses consumers – “a pint of dealcoholised beer and a bag of nuts please landlord”. Fortunately, the Government knows this – it’s currently reviewing labelling regulations for no- and low-alcohol drinks. Because there’s been no research into the health effects of drinking 0.5% beers, health organisations continue to cover themselves by advising there’s no safe level of alcohol consumption, especially if you have a specific health condition or if you’re pregnant. This presumably includes any amount of alcohol, even the small amount you get in 0.5% drinks. There’s no mention of avoiding the foods that naturally contain alcohol though. Does this mean 0.5% drinks are safe if you need to avoid alcohol for health reasons? Probably. But it’s best to consult with your doctor or health professional first, just in case. If you’re a pedant, you might argue that, as there is technically some alcohol in 0.5% beers, they can’t be considered alcohol-free. However, you might also find that people avoid you at parties. There you have it – the case for and against considering 0.5% ABV drinks “alcohol-free”. I know where I stand – what about you?